4A State Speech Champs Chiawana High School is fundraising to send ten students, plus coaches and judges, to the National Speech and Debate Association Tournament in Ft. Lauderdale this June. 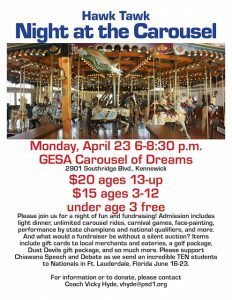 This family-friendly evening includes food (wings, pizza and more), unlimited carousel rides, carnival games, face painting, and silent auction. 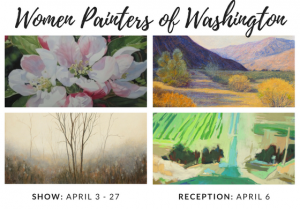 Auction items include gift cards, a golf package, Dust Devils package, art, and more. Are you looking for a fun way to get fit? To meet new people? 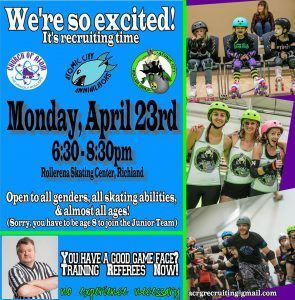 Do you want to learn to skate? Or maybe to hit people without getting in trouble with the law? 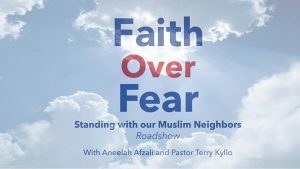 From 6:30 p.m. – 9:00 p.m.
We cordially invite the public, faith leaders from all churches, mosques, synagogues and temples as well as civic, education and community leaders to join Aneelah Afzali (MAPS-AMEN) and Pastor Terry Kyllo (Neighbors in Faith) to better understand the anti-Muslim industry, the threat it poses to our nation and civil liberties, and what we can do about it together. This event will include time for Q & A and interaction with faith, political and education leaders in the Tri-Cities area. 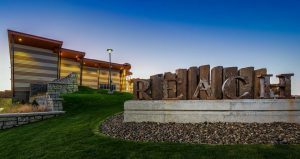 Join the Lower Columbia Basin Audubon Society for a presentation by Wenix Red Elk, the Public Outreach and Education Specialist for the Confederated Tribes of the Umatilla Indian Reservation’s Department of Natural Resources. 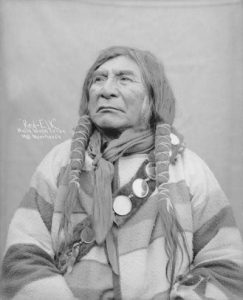 Wenix will introduce us to tribal history and culture in the Tri-Cities area, including past, present, and future tribal uses of Columbia Point and the Hanford Site. As a First Foods specialist, she will discuss how tribal members have used natural resources in this area, especially the shrub steppe plants and animals. She has a Master’s Degree in Organizational Management and a background in Museology/Museum Studies and Environmental Science in Plant Restoration and Native American Studies. 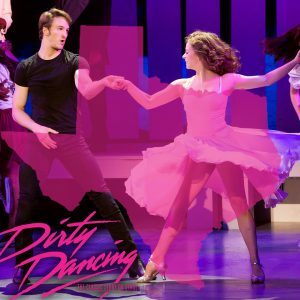 Dirty Dancing is an unprecedented live experience, exploding with heart-pounding music, passionate romance and sensational dancing. Seen by millions across the globe, this worldwide smash hit tells the classic story of Baby and Johnny, two fiercely independent young spirits from different worlds who come together in what will be the most challenging and triumphant summer of their lives. 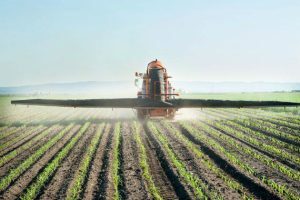 From 11:30 a.m – 1:30 p.m.
Join the Columbia Basin Badger Club as they discuss Large Scale Agriculture. 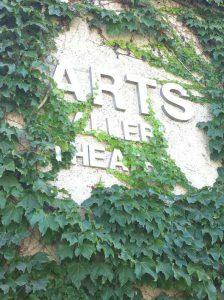 From 7:00 p.m. – 10:30 p.m.
Contra dances have been a part of 3RFS for a couple of decades. The Shady Court String Band will be performing and the caller will be Shelley Jenkins. The musician who gave us “This is Amazing Grace” and “Your Love Awakens Me” is coming to the Tri-Cities!! Phil Wickham is an award-winning singer and songwriter based out of San Diego. 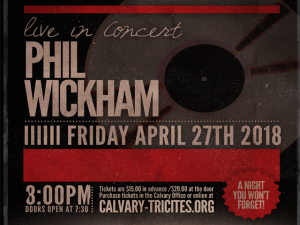 Calvary Chapel is excited to host a Night of Worship with Phil Wickham for the community. It’s going to be an incredible evening and we’d love for you to be here! Tickets are available online and at Calvary Chapel Tri-Cities. Tickets are also available at Tri-City Bible Bookstore (2450 N Columbia Center Blvd. in Richland) cash or check, only. 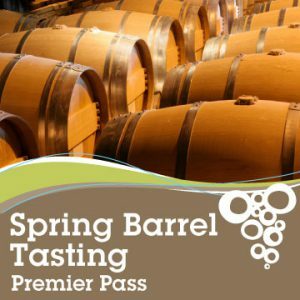 The Yakima Spring Barrel Tasting is your chance to get a jump on tasting and purchasing some of the best wines in wine country. A visit to the Valley will allow you to sample yet-unfinished wines from the barrel. 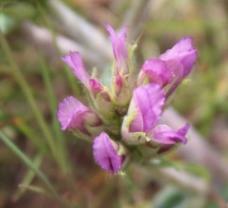 Come to “Native Plant Appreciation Day” at the McNary Wildlife Refuge in Burbank. The event is free to the public. 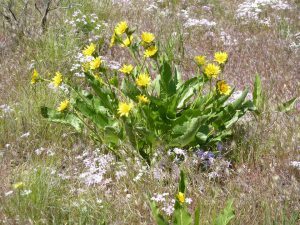 It offers an opportunity for families and friends to come together to celebrate the amazing varieties of wildflowers that we have here in the Columbia Basin. 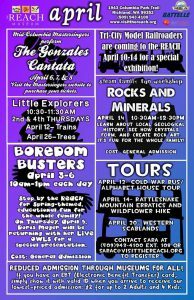 The day will include wildflower field trips, children’s crafts, presentations and displays. 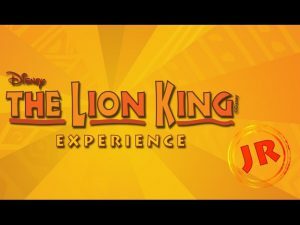 Fun for the whole family and free! Several great door prizes! Refreshments! 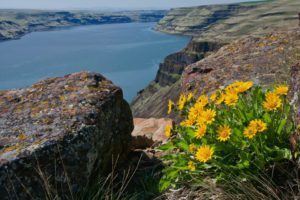 Organized by the Columbia Basin Native Plant Society and Friends of the Mid-Columbia River Wildlife Refuges in partnership with USFWS Mid-Columbia River NWR Complex. 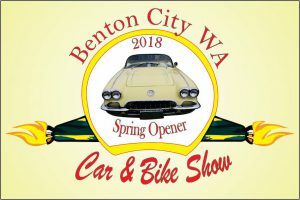 Show opens to the public at 9 a.m.
Benton City’s Annual Spring Opener Car and Bike Show is brought to you through the cooperation of many of our community civic organizations. The proceeds of this non-profit show will be used to help support youth activities in the community. We will continue the show each year as a way to raise funds for different projects that provide for the community in whole. Jenny’s Hope is pleased to announce our 9th Annual Super Pet Adoption Event at the east end of Columbia Park, band shell stage (next to the skate park). Please join us along with lots of shelters, rescues and vendors from the Tri-Cities and surrounding areas. Meet adoptable dogs, cats and other animals of all ages in an open environment filled with fun, smiles and laughter. Come learn about each organization and the ways you can help them. 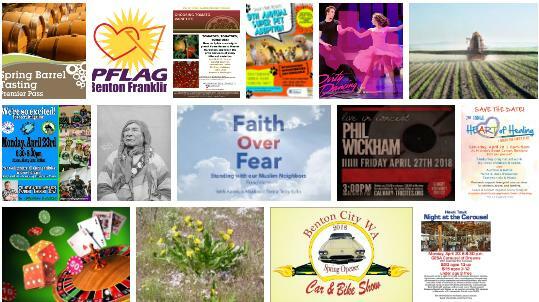 Find out about the various volunteer opportunities, foster programs, fundraising events and more! 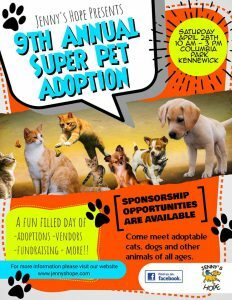 We’ll have lot of adoptable animals, food, various vendors and lots of excitement! Bring the whole family and come show your support! MICRO CHIPS and scans will available during the event for $20. So many different tomato varieties, so little garden space! Cherry, grape, heirloom, hybrid, slicers, paste…how do you choose which ones to put in your garden? 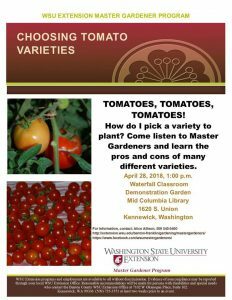 Come listen to some fantastic Master Gardener tomato growers help you choose. 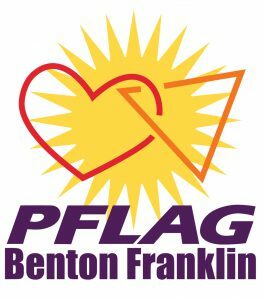 Check-in at 5:00 p.m., climb begins at 5:30 p.m.
Join PFLAG Benton Franklin on Saturday, April 28th for this annual event. 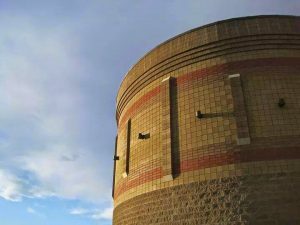 Participants will climb up Badger Mountain in Richland to raise awareness around the issues of bullying, suicide prevention, and self-harm. All funds raised from this event will go to PFLAG Benton Franklin to continue education and awareness in our community. Pre-registration is recommended by Friday, April 27th. Pre-registration is $15.00 per individual and you will be guaranteed a t-shirt. Registration day of event is $20.00 per individual and t-shirts will be given on a first come, first served basis. Viva Las Vegas A Night with The Arc is a fundraising event, a chance to donate to a wonderful community service that supports individuals with intellectual and developmental disabilities in our community. 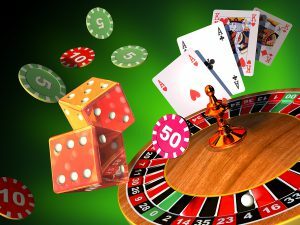 The “Vegas” themed gala is designed for attendees to enjoy dinner, casino-type games, live and silent auctions and dancing to live music by Colorblind. Tickets are limited so please hurry to register. Heart of Healing is a benefit for Cork’s Place. Proceeds support free grief care services for children,teens, and families who’ve experienced a significant death. 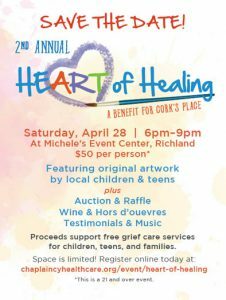 This event features original artwork by local children and teens. 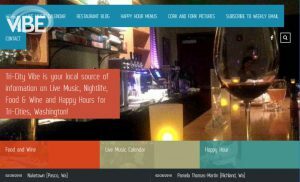 In addition, there will be live and silent auctions, wine and hors d’oeuvres, testimonial stories from Cork’s Place kids and live music. 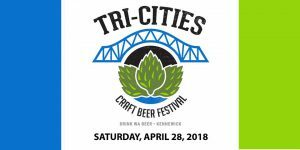 April 27: Supervolcanoes at 7 p.m. and Stars of the Pharaohs at 8 p.m.
April 28: The Zula Patrol: Under the Weather at 2 p.m. and The Little Star That Could at 3 p.m.